Fall is in full swing here in Northeast Florida. As the relief of cooler weather approaches, we are all looking forward to enjoying the outdoors just a little more. You might be perfecting your Thanksgiving décor or Christmas décor (for all you early birds out there). Some of you may simply be enjoying morning coffee on your patio in a sweater versus a t-shirt. No matter how you choose to enjoy the cooler temperatures coming our way, Hardwick Fence is here to help you do that with security, privacy, and gorgeous aesthetics. 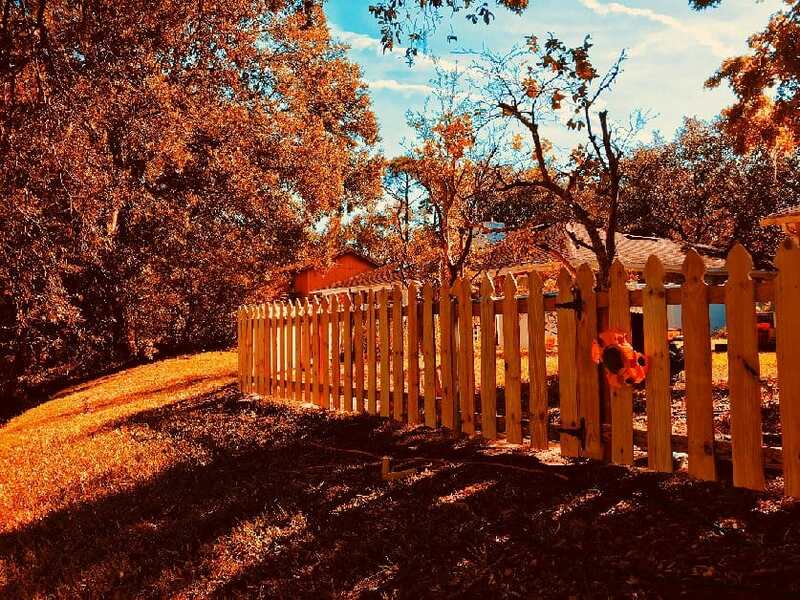 With over 50 years of experience in fencing and commitment to the highest quality products and service, choosing Hardwick Fence for your fencing needs will be the easiest choice you make this fall. When you’re trying to figure out how to squeeze in time with all your family during the holidays and comparing prices on Christmas gifts (Yes, it’s soon enough to think about that. ), it’s understandable that many put off, yet again, the dream of fencing their property. Hardwick Fence can make the fence you envision for your property a reality, without the hassle you imagine will come along with the process! Your first phone call with our friendly office staff can quickly and easily schedule a no-cost, no-obligation estimate appointment. When our estimator arrives on your property, they will take measurements of where you would like your fence as well as discuss your exact fence vision with you. Want something unique? We have installed countless custom fences and enjoy bringing our clients creative styles to life! Not exactly sure what you want? No problem! Our estimators can make suggestions on the best options for durability, privacy, security and even for your pets! Concerns about your HOA/ARB/ARC? Let us help ease those concerns! Our office staff works daily with HOA/ARB/ARC’s, submitting requests for fence installation approval on behalf of our clients. We are diligent about ensuring our installations are compliant with all policies and regulations. Additionally, we obtain any necessary permitting and file Notices of Commencement where applicable. Don’t put off your fencing dreams until next season, next year, or when you feel like it won’t be such a hassle or financial burden. At Hardwick Fence, we eliminate the hassles and even offer financing options! Call us today and get back to decorating, family gatherings and holiday shopping. Leave installing your perfect fence to us!